One way to become more responsible and mindful of your spending is to budget. And if you want to make it even more convenient, a mobile app could be just the thing to help you improve your financial situation and stay on top of your spending. The following budget app picks have been selected because of their general popularity with consumers, affordability, and overall simplicity. 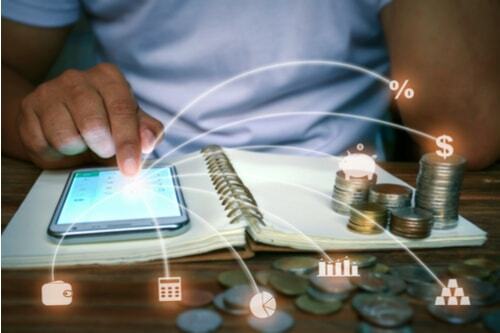 Take a moment to review the many features and qualities offered by these financial apps to find one that best suits your individual needs and lifestyle. Now get budgeting! If you’ve heard about any budgeting app, you’ve most likely heard of Mint. This easy, intuitive app lets you track your spending, create budgets, and even can notify you when you’re overspending. Mint can also help you analyze how much you’re spending in various categories so you can better see trends, problems and areas of your budget that can be trimmed. If you choose to use it on your home computer, you can go online to get a free credit score, move your money between accounts, and export spreadsheets. PocketGuard – described as being “similar to Mint” – lets you see all of your transactions and expenses in multiple formats, including graphs, charts and spreadsheets. You can set up saving goals, establish spending limits in various categories, and add notes to your payment and transaction histories. PocketGuard also lets you know if you can afford to make a large purchase or not, and it will show you how much you’re cash you have available to spend at any given time. It also uses bank-level security and encryption to protect your personal information. Unlike Mint, which uses your bank information, Unsplurge needs no sensitive information like your banking, credit card, or loan information. The point of this app is to help you start saving and monitor your progress. It actually sends you friendly reminders to save instead of spend money, which is all it takes for most of us to stay on track. The app also has a handy feature that lets you log your progress. The built-in community lets you see how other Unsplurgers are saving, what they’re saving for, and their helpful tips for reaching your goals. Log your savings and monitor your progress. Reach your goal and share with the community. Chime Bank is a free banking account you can download as an alternative to Digit, which costs $2.99 a month. Once you open a checking account with them, they send you a Visa debit card. You then set up a savings account and can use the “Save When I Spend” feature, which rounds transactions up to the nearest dollar and transfers it into your savings account. Another similar feature is “Save When I Get Paid,” which lets you automatically save 10% of each paycheck that is deposited into your checking account. Additionally, you have free access to more than 25,000 fee-free ATMs throughout the country. And, unlike a traditional banking account, Chime doesn’t charge overdraft fees, monthly fees, or require a minimum balance for your accounts. Step 1 – Open Your Account: Download the app, sign up, and enroll in automatic savings. Chime Bank will send you a debit card within two weeks. Step 2 – Fund Your Account: Set up direct deposit and transfer funds from other accounts for free. Step 3 – Update Bill Payments: Once you’ve activated your card, add it to Apple Pay and set up recurring bill payments with your new card’s account info. Step 4 – Save Automatically: Activate the “Save When I Spend” and “Save When I Get Paid” features to begin building your savings. BUDGT describes itself as being the first true day-to-day financing application for people with more modest monthly incomes. Each day, it creates a new, personalized budget based on how much you’ve already spent during the month. It helps you save by making you aware of how much you can afford to spend on a daily basis. Personal budget: You can set up your tailored monthly budget with recurring (and one-time) expenses and income. Daily tracking: Each day, the app will determine how much you can afford to spend. Export your monthly data: Use this Excel data spreadsheet to better understand your expenses and spot trends. Codelock: Keeps your data safe and secure with 128-bit encryption. Save: BUDGT makes it easier to reach your saving goals. Budgeting is an invaluable tool to take control of your money. It may take some work and time to really get the hang of it, but it pays out dividends when you do. However, if time is something you don’t have, you might need the speed and convenience of a title loan. If you’re facing nagging creditors, overdraft fees, an unexpected expense, or some other financial challenge that has you stressed out, a title loan could put cash in your hands in as little as 30 minutes. Bad credit is no problem and you keep your vehicle while repaying your loan. 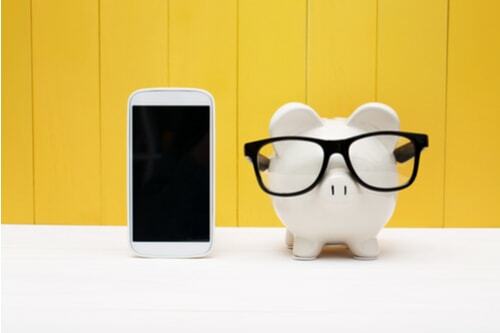 With so many easy options for getting your finances in order, finding the right app for you may take a little trial and error, but that’s nothing to worry about. 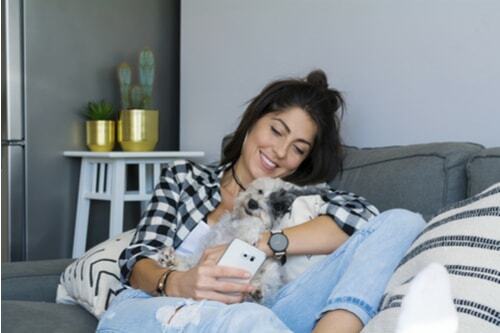 The journey to financial security starts with a simple first step in the right direction, and that’s exactly what these apps are designed to help you do.